Our fixed E-Class® model (EF) Skywindow® is ready to go right out of the box – no mastic, no step-flashing, no sealants. Our one-piece curbframe and Ultraseal® flashing design cuts 90 minute installation to 30 minutes!1 Plus, Wasco E–Class skylights deliver up to 22% more daylight!2 Our E–Class self-flashing skylights sit directly on the roof deck, giving you a larger glass area per rough opening compared to competitor. Backed by a 10 Year Leak Free Warranty. Wide range of accessories, glazings, and finish color options. Condensation control without the use of weep holes for maximum energy efficiency. Thermally broken vinyl curb frame. Deck-mount – for use with thin roofing materials up to 3/4″ thick. such as composition, slate or wood shingles and shakes. (1) Compared to the leading competitor. (2) Fixed models. Custom-sized E-Class self-flashing skylights are also available. Contact your local residential dealer or call 800-888-3589. * Not available with impact glazing (HR). NOTE: For all rectangular units, specify dimension parallel to roof ridge first (width). 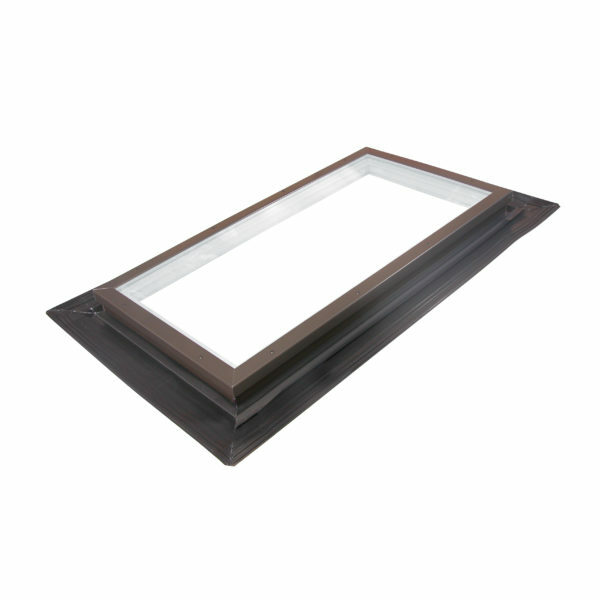 The standard baked enamel finish for all E-Class® Skylights is Quaker Bronze. Nine additional designer colors are available. Colors are shown below, approximated by computer display colors. Copper cladding is also available. Available in standard sizes for E-Class fixed model EF. Wasco Skylights with impact glazing meet IBC/IRC/FBC and other stringent state building codes for skylights installed in Wind Zone 3 coastal applications (FL#14417.9). Hurricane resistant glass appears to be ordinary glass, but shields against damage from wind-borne debris, accidental impacts, forced entry and even unwanted noise.